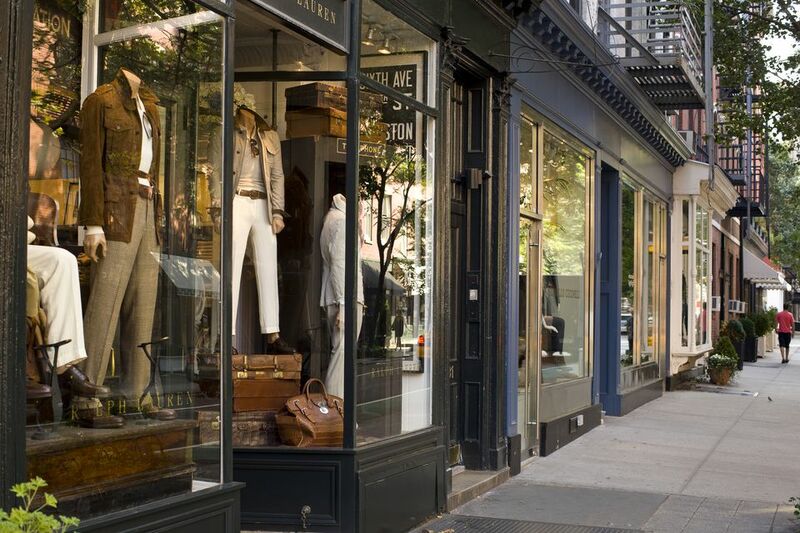 Save lots while you shop at these great NYC shops. Just looking for some designer clothes at discount prices? Check out these great New York City stores that sell designer brands at a discount every day. Due to rough and tumble handling by the occasionally ruthless discount shopper, make sure to inspect any purchases for tears, holes, and runs. Discount shopping gurus might also be interested in New York City Sample Sales. Overstock from some of New York's finest department stores, including Bergdorf Goodman ​and Henri Bendel, are available at 50-80% at Gabay's Outlet. Family owned and operated for three generations, you can get the inside scoop and hear about new arrivals by signing up for their mailing list. Available designers include Manolo Blahnik and Chanel. TJ Maxx and Marshalls have numerous locations around Manhattan and the outer boroughs where shoppers can sift through racks to find mid-range designer clothing, shoes, and accessories at deep discounts. The stores themselves are pretty charmless, but if you like treasure hunting there are good finds to be had. Many are last year's fabrics and colors, but no one else will know. The Woodbury Commons outlet is an easy trip from New York City (even if you don't drive, you can take a bus directly to the outlets!) and there are nearly endless shopping opportunities to enjoy once you are there. They have over 200 stores with everything from fashion for men, women, and children, shoes and accessories, perfume and more. They have a full array of dining options as well, so you can take a break and refuel so you can continue your shopping frenzy.